I mentioned in earlier entries that the change in Frank Black's approach to his music (namely the addition of pedal steel and his penchant for traditional structures) was leading to something. I don't know if the Pixies reunion had garnered him enough cash to finally pull off a project like this, or if it was just a random idea that turned into a full album...who knows. What we do know is that FB headed to Nashville, hired a bunch of session dudes, and made a polished album that, while a nice change from the two track recordings he did with the Catholics, feels slightly self-indulgent and isn't that fun to listen to. I'll go to the wall for Frank, but this one was pushing it. I've listened to this album quite a bit, and I've found some things that I like about it, but it will never be one of the first ones I reach for when diving into his catalog. Still, it's certainly not all bad. "I Burn Today" was a song that I latched onto early on with this record, but I lost interest in it pretty quick. I still enjoy "Lone Child" and "Dark End of the Street," but that one's a cover. I don't know, the songs are slick, Frank's vocals aren't super great for this type of music, and the whole thing just seems to trudge along. Of course, he was out on the road playing songs he vowed to never play again, so this was probably a nice change for him. And I'm sure playing with seasoned session musicians was a welcome treat after sharing a stage with Kim Deal for weeks on end. Who knows. 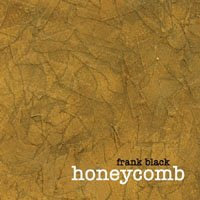 I'll put this one on for some pleasant background music, but I hate to relegate a Frank Black album to that duty. So this one hurts me a little bit. But, the dude's got nothing to prove. Let him have some fun. There's always some winners in there if you take the time.